Max Milligan Play Johnson download. 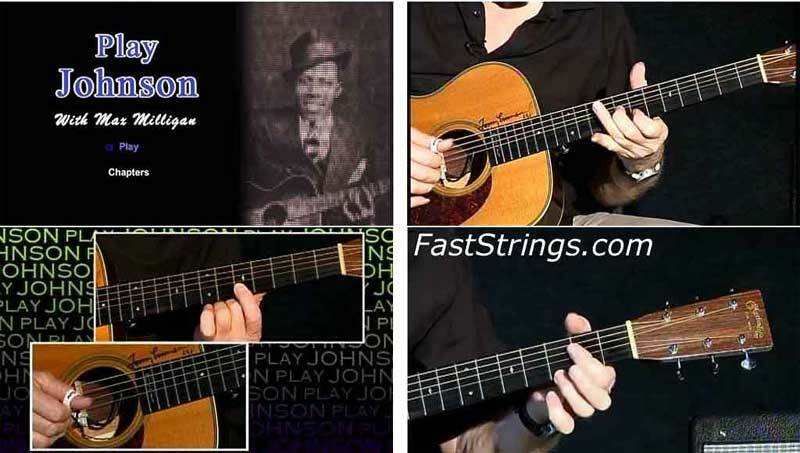 The Play series… entertaining instructional programs illustrating the methods and techniques made famously recognizable by the world’s greatest guitarists, this release concentrates on the one and only Robert Johnson. The Legendary Robert Johnson is reputed to be the man who sold his soul at the crossroads to play the blues. During his short life, he enjoyed little success or recognition, and it would be 20 years after his death before his music received its deserved acclaim. Now regarded as a maestro of the blues, Johnson has been a key influence on many famed guitarists. Max Milligan will show how to incorporate his techniques into your own style so you too will be able to play like Johnson!